The classic French diversion, boulé (pétanque) is presented here possessing all the luxury associated with Geoffrey Parker. 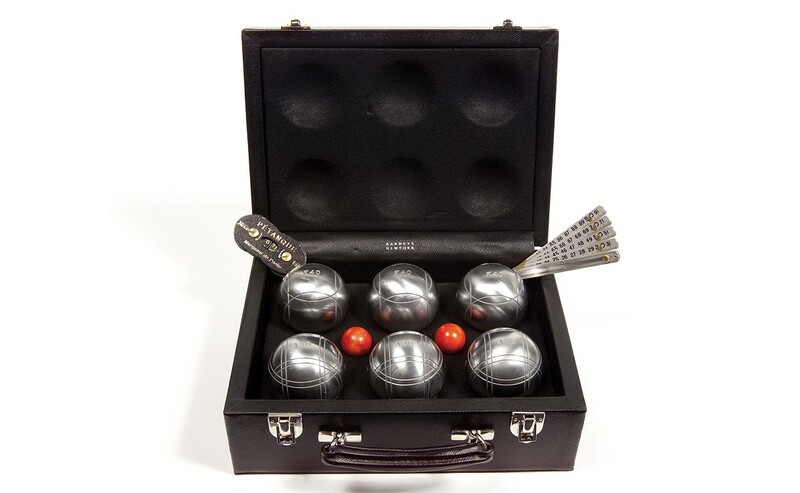 This competition-grade set includes six stainless-steel boulé, two butts, leather scorer, and one stainless-steel folding measure to guarantee fair play. The official leather-bound pocket scorer will ensure that your victories are duly noted. 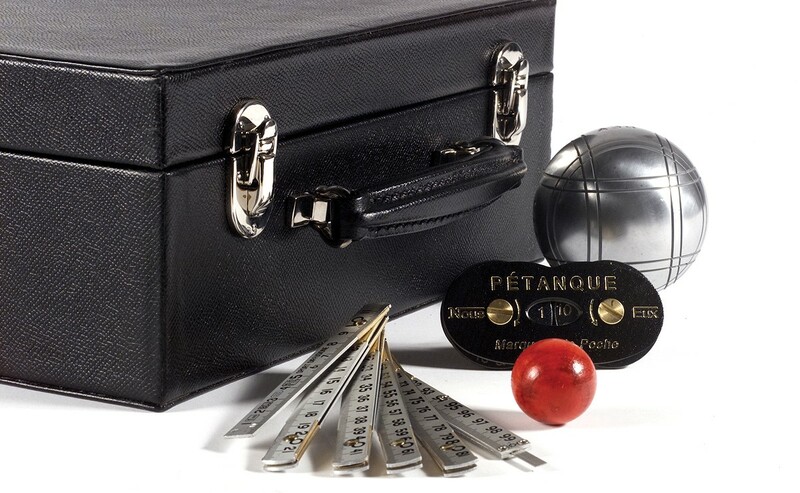 The set can easily be transported in its Dauphin calf leather-bound attaché case lined in black felt, complete with nickel lift catches and a hand-stitched leather carrying handle. You can customize this product here. This product requires 6-8 weeks for delivery.